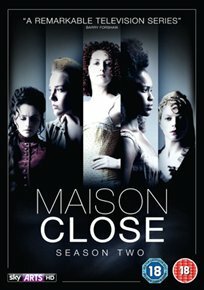 The complete second series of the French drama following the women working in a Parisian brothel known as Paradise in the 1870s. Hortense (Valérie Karsenti), Véra (Anne Charrier) and Rose (Jemima West) are now running Paradise together and though the business has become a success they find opposition in the form of the Paris vice squad who are intent on putting a stop to their activities. In an attempt to keep their brothel thriving, the three women join forces with a local gangster.